Das Start-up, das sich der Erschließung des Mars widmete, ist zahlungsunfähig. Mars One Ventures, der kommerzielle Teil des Marskolonisierungsprojekts Mars One, ist von einem Schweizer Gericht für bankrott erklärt worden, wie Engadget berichtet. Der Entscheid wurde bereits im Jänner veröffentlicht, ist aber erst jetzt durch aufmerksame Reddit-Nutzer in den Medien aufgetaucht. Mars One wurde vom niederländischen Unternehmer Bas Lansdorp ins Leben gerufen, mit dem Ziel, eine Firma aufzubauen, die die Kolonisierung des Mars betreiben sollte. Das Projekt war in zwei Unternehmen aufgeteilt, die nicht profitorientierte Mars One Foundation und die kommerzielle Mars One Ventures. Die in der Schweizgelistete Mars One Ventures AG wurde am 15. Jänner von einem Basler Gericht für bankrott erklärt. Das Unternehmen war zu diesem Zeitpunkt mit 100 Millionen US-Dollar bewertet. Die in Großbritannien gelistete Zweigstelle Mars One Ventures PLC wird derzeit als auf Eis gelegt gelistet und hat weniger als 20.000 Pfund flüssiges Kapital zu Buche stehen. Zum finanziellen Zustand des Non-Profit-Arms Mars One Foundation gibt es wenig Informationen. Die Stiftung finanziert sich durch Lizenzzahlungen durch die kommerzielle Mars One Ventures. Bas Lansdorp sagt gegenüber Engadget, dass die Stiftung noch im Geschäft sei, aber ohne frisches Investorengeld ihrer Tätigkeit nicht mehr nachkommen könne. Er arbeite an einer Lösung. LansdorpsKonzept hatte vorgesehen, die Kolonisierung des Mars durch Fernsehgelder zu finanzieren, indem der ganze Prozess als Realityshow übertragen werden sollte. Mögliche Kolonisten wurden online gesucht, jeder Weltraumfan konnte sich bewerben. Aus dem Auswahlverfahren sind bereits einige Kurzdokumentationen entstanden, die an Fernsehstationen und Streamingdienste verkauft werden sollten. 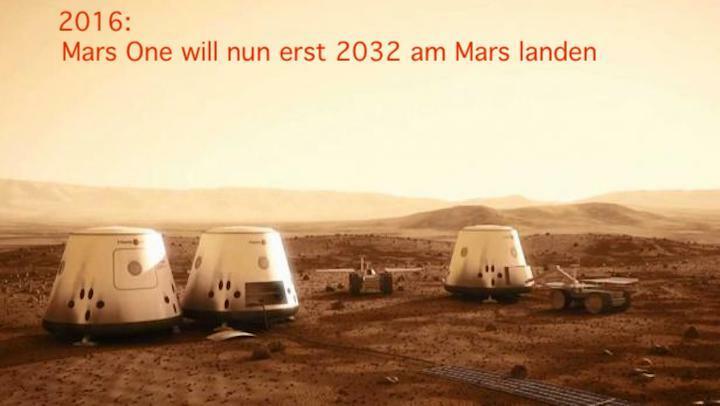 Die letzte Aussendung von Mars One stammt vom 18. Juli 2018. Damals wurde bekannt gegeben, dass Phoenix Enterprises bis zu 12 Millionen US-Dollar pro Jahr investieren wolle. Mit dem Geld hätten die Lizenzzahlungen an die Stiftung, eine Neulistung an der Frankfurter Börse und der weitere Betrieb des Kolonistenauswahlverfahrens finanziert werden sollen. Das Konzept von Mars One war von Beginn an heftig kritisiert worden. Einerseits wurde bezweifelt, dass die Erlöse aus dem Reality-TV-Business je die teuren Marsreisen finanzieren könne, andrerseits warfen MIT-Forscher dem Projekt vor, dass mögliche Kolonisten unter den gebotenen Voraussetzungen keine Überlebenschancen hätten. Mars One Ventures — the company that claimed it was going to send hundreds of people to live (and ultimately die) on the Red Planet — is now bankrupt, according to Swissfinancial notices. It’s an unsurprising development, as many experts suspected that Mars One has been a scam for years, preying on people’s desires to travel to space without having a real plan to get them there. News of the liquidation first came to light over the weekend, thanks to a Redditor who spotted a notice for the company’s bankruptcy on a website for the city of Basel, Switzerland — where Mars One’s parent company is based. The source indicated that the the city declared the company bankrupt on January 15th, which then dissolved the organization. Mars One’s creator, Bas Lansdorp, confirmed the news to Engadget and told the publication he was “working to find a solution.” He noted that the nonprofit arm of Mars One, the Netherlands-based Mars One Foundation, was still alive but lacks investment to do anything. Mars One has long been embroiled in controversy over its dubious plan to send people to Mars, where they would supposedly live out the remainder of their lives. 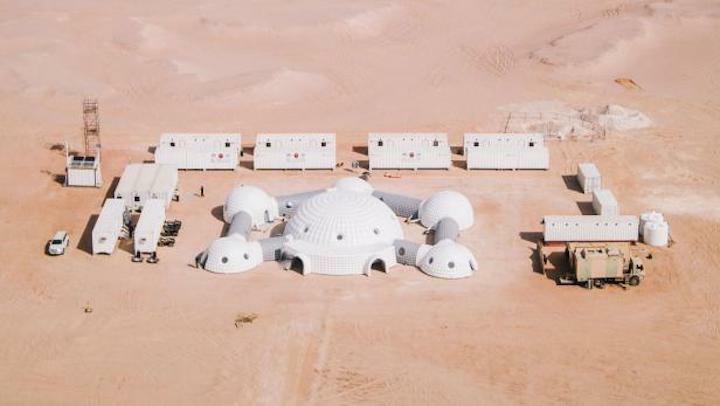 The company promised wannabe astronauts that it would send them to the Red Planet to start the first human settlement, but that it would not return them to Earth as it lacked the technology to get them off the planet. 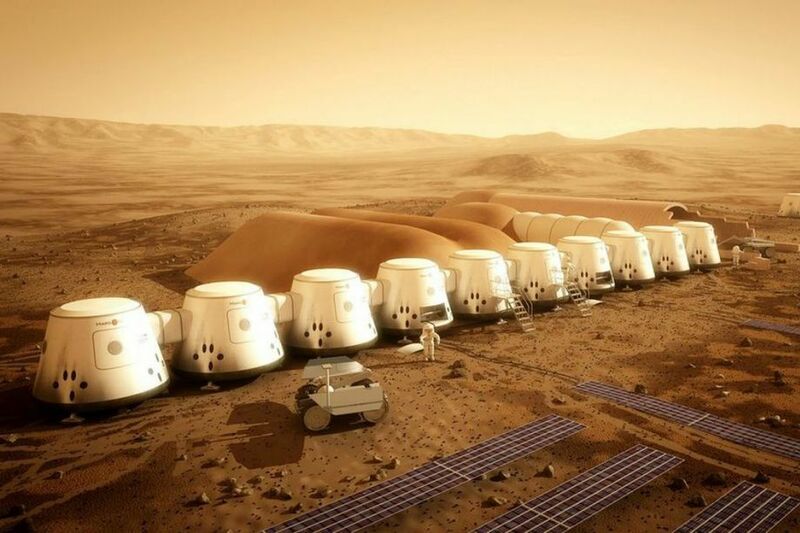 After receiving applications from people all over the world, Mars One selected 100 candidates who could potentially be the first to fly on the trip. However, many of Mars One’s claims have come under intense scrutiny in the years since its inception. For one, the company initially argued that it had received more than 200,000 applicants from people all over the world interested in living on Mars, but an investigation by the publication Matter could not verify that claim. Matter also found that Mars One’s process for selecting these candidates was questionable. Additionally, Mars One did not manufacture any aerospace hardware, but claimed it would fund and purchase all of the equipment necessary by creating a reality TV show that would follow its candidates as they prepared for the mission. Experts have speculated that a mission to Mars could potentially cost hundreds of billions of dollars. And in 2014, two graduate students from MIT created a report looking at the feasibility of the Mars One mission, claiming that the technology was just not mature enough for the plan to work and that it would require way more money and deliveries of spare parts than the mission claimed. Mars One’s timelines were always changing, too. The company claimed it would send a series of robotic missions to the Red Planet to set up the hardware and supplies needed before humans arrived. Those robotic missions were supposed to begin in 2018 and the early 2020s, but then Mars One pushed back those dates to the mid-2020s, with the first crew of four launching in 2031. In 2016, Mars One Ventures was acquired by the Swiss company InFin Innovative Finance, though its website does not appear to be active anymore. The last update on Mars One’s website dates back to July 10th, 2018, when it announced an investment deal with a Swiss firm called Phoenix Enterprises. Update, February 12th, 8:45AM ET: This post was updated to include a second statement from Mars One. Update, February 11th, 8:50PM ET: This post was updated to include an additional statement from Mars One.